WinSCP 3.7.5 0 out of 5 based on 0 ratings. The preset can be also made default automatically based on current hostname, username, remote and local directory. User can load settings from any preset on Upload, Download, Synchronize and Keep Remote Directory Up to Date dialogs. Transfers settings can be configured on Synchronize and Keep Remote Directory Up to Date dialogs. Toolbars can be docked virtually anywhere. They can be even left floating. When the whole toolbar does not fit on a window, dropped off buttons can be still shown using drop down menu. Session drop down menu cannot be resized anymore. All that thanks to Toolbar2000 library by Jordan Russell and TBX library by Alex A. Denisov. Automatic check in regular interval can be enabled. See Updates tab on Preferences dialog. New toolbar Updates with icon indicating the new version. In addition to information about the new version, WinSCP can show message from the server (even when new version is not available yet). The check can pass thru HTTP proxy server. To allow new features, WinSCP sends to the server its current version and UI language. Custom commands that does not work with files selected in file panels (no !, !&, !^! patterns) are now officially supported. Such commands can be executed anytime, even if no file is selected. Also they are executed only once, despite several files being selected. Options Apply to directories and Execute recursively cannot be configured for them. Command Disk Space Usage added as an example (df). Possibility to run ad hoc custom command (File(s) > Custom Commands > Enter). Custom command that works with local files can be run from the main menu even when local panel is active (Commander interface only). History for custom command parameters. Output to stderr and exit code 1 are not considered as error for custom commands. Example custom command File compare is not shown on Windows 95/98 saving necessity to tag it as NT/2k/XP only. Button Help added to all dialogs. Virtually all main menu items have context-sensitive help (F1). Many message boxes have context-sensitive help. Context help points to specific tab help for Preferences dialog. Preferred SFTP protocol version can be set. Particularly useful to workaround bugs in implementation of particular SFTP version (both in WinSCP and the server). Functionality of SFTP server bug Does not use UTF-8 for SFTP4 and newer workaround extended. It is now titled Server does not use UTF-8. By setting it to Off, usage of UTF-8 can be forced even for SFTP3 and older (useful for servers using MBCS natively). Thanks to Tommy Wu. Function Keep remote directory up to date can handle subdirectory addition and removal. 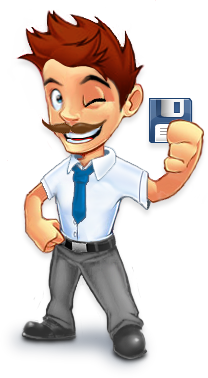 Function Synchronize can optionally synchronize timestamps of existing files only, instead of actual files (SFTP only). New /command command-line option to pass command to scripting. File size can be optionally used as comparison criterion for synchronization. Files can be excluded from transfer negatively using Include mask. All links now point to winscp.net. Link â€œUsing public keys for SSH authenticationâ€ is no longer created. Link â€œDocumentationâ€ is added to Start menu. Setup allows user to install WinSCP without accepting the GPL licence. Some Start menu icons have comment (displayed as hint). Direction of synchronization can be saved to preferences. Bug fix: Failure when connecting through SOCKS proxy. SFTP moved before SCP in Login dialog navigation tree as well as in protocol selection box to emphasise current state of art. SFTP server bug Misinterprets file timestamps prior to 1970 workaround introduced in 3.7.4 can be now configured from SFTP tab of Login dialog. Added workaround for some versions of F-SECURE SSH server that incorrectly use attribute SSH_FILEXFER_ATTR_UIDGID with SFTP4. Transfer queue list distinguishes process of â€œtransfer size calculationâ€. Confirmation messages unified to always show Cancel button. Previously some contained Abort instead. Improved error reporting for Keep remote directory up to date function. Function Keep remote directory up to date can perform full synchronization on start. By default user confirmation is required. Confirmation of transfer resume can be suppressed the same way as overwrite confirmation, i.e. by disabling confirmation for synchronization, background transfers or in script. Function Open in PuTTY is available on Commands toolbar. Error messages have button Skip All to skip all futher errors during batch operation. Single notation consistently used to refer to SSH protocol versions. Proxy password is stored encrypted, while maintaining compatibility with older versions and PuTTY. Some error messages that were previously tagged as Confirmation are now properly tagged as Error. During upload, when overwriting remote file fails and user selects Retry, overwrite confirmation is not requested again. Editor tab of Preferences dialog redesigned. Fixed potential security issue in console interface tool WinSCP3.com (thanks to Paul Ward). Fixed potential security issues when decoding SFTP packets. Confirmations during background transfers can be suppressed from Background tab of Preferences dialog too. Both compare directory criterions (Compare by time and Compare by size) can be unselected making WinSCP select only files not existing in the opposite directory. Functions Synchronize and Keep remote directory up to date do not delete files by default. This affects fresh installation only! Server host key fingerprint verification box reformatted. It also shows key type now. When synchronizing and comparing directories, the time difference of one second is ignored (for compatibility with FAT file systems). It is also ignored when transferring newer files only. New scripting command call to run arbitrary remote shell command. If the current session does not support this (SFTP), separate shell session is automatically opened. Alias for the command is !. File masks can be directory specific, where meaningful (text file mask, exclusion masks). For example mask */public_html/*.php matches only PHP files in directory public_html. It does not matter what slashes are used, the mask always matches both remote and local directories. Lines beginning with ; or # are ignored in script files (can be used for comments). When connected to Vandyke VShell server for Windows, the remote directory tree shows list of drives on the server (implemented support for SFTP extension fs-roots@vandyke.com). Window title and application taskbar button can show name of current directory (default) or current full path.